Responding to former Comptroller & Auditor General official RP Singh's rebellious comments on the 2G audit report, a group of retired CAG officials have accused the Congress-led UPA government of making a deliberate attempt to damage a crucial pillar of the fundamental structure of the Indian Constitution. On Wednesday, a group of retired senior CAG officers said in a signed statement that they were gravely concerned over the government's unprecedented, long-drawn-out and ferocious campaign against the CAG. Former additional secretary S Krishnan argued that R P Singh could not have uttered all those comments against the CAG without being goaded by someone. It may be noted here that RP Singh, former director general of Post and Telecommunications at CAG, had claimed that he was made to sign the 2G audit report that had pegged the loss to the exchequer at Rs 1.76 lakh crores. He had also claimed his report on the 2G audit had pegged the loss at Rs 2,645 crore. 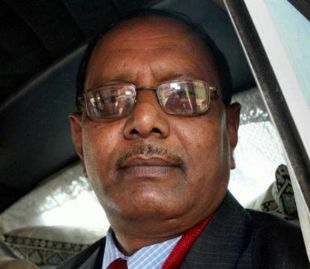 In addition, he had alleged that some CAG officials had met senior BJP leader Murli Manohar Joshi at his residence before finalizing the report. The group of the former CAG officials condemned RP Singh, saying that changing or modifying a draft report at the headquarters was a normal practice in all bureaucracies. The statement also argued, "Not only did Singh sign the report, but he is also reported to have made a Power Point presentation on the 2G report to the PAC. How then can he come forward with reservations at this stage?" Besides Krishnan, the statement was signed by ex- additional deputy CAG SC Anand, ex- deputy CAGs R Parameswar, JN Gupta and BP Mathur, and former secretary Ramaswamy R Iyer.